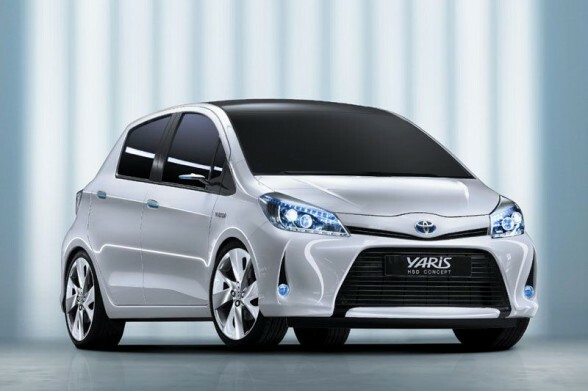 Toyota just made hybrid cars a whole lot more accessible by debuting the Toyota Yaris sub-compact hybrid at this week’s 2011 Geneva Motor Show. Hybrids that are currently available typically cost upwards of $20,000, and aren’t accessible to the entry-level fuel conscious market. The sub-compact hybrid Yaris, though, may change all that. The B-segment car, made for Europe right now — where smaller cars are more common place, shows Toyota’s commitment to downsize its proven full hybrid technology. The Yaris Hybrid will go on sale in Europe next year, though no word yet on whether it will have a U.S. debut. 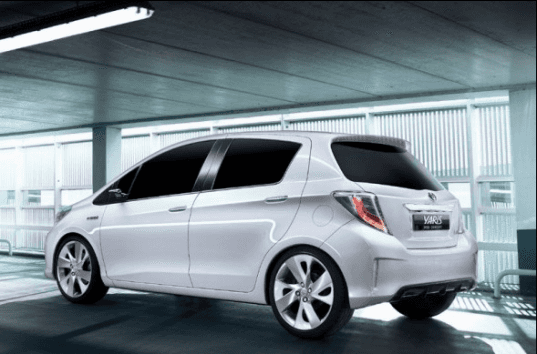 Though specific details haven’t been released on the price, size, engine size or MPG of the car, the Yaris will have solar panels on the roof like the 2010 to power the air-conditioning system when the car is parked to improve fuel efficiency. Given that the car’s a small hybrid, hopefully we’ll see at least 60 mpg. The Toyota Auris -- a hybrid already on sale in England -- is supposed to achieve 75 mpg. Toyota just made hybrid cars a whole lot more accessible by debuting the Toyota Yaris sub-compact hybrid at this week's 2011 Geneva Motor Show. Hybrids that are currently available typically cost upwards of $20,000, and aren't accessible to the entry-level fuel conscious market. The sub-compact hybrid Yaris, though, may change all that. The B-segment car, made for Europe right now -- where smaller cars are more common place, shows Toyota's commitment to downsize its proven full hybrid technology. The Yaris Hybrid will go on sale in Europe next year, though no word yet on whether it will have a U.S. debut.